Are you missing many or all of your teeth? Even if you currently wear dentures, you are most likely aware of how debilitating tooth loss can be and the limitations of dentures. Did you know that there is a solution to all these problems? Implant support dentures may be just the treatment you need to feel proud of your smile, eat all the foods you enjoy, and look and feel confident! Permanently fixed to your jaw, implant supported dentures combine the functional benefits of dental implants with the natural aesthetics of modern dentures. For many patients, this improvement in stability and health is one of the greatest advantages of having dentures secured by dental implants! No longer do you need to struggle in daily activities like eating and speaking or wrestle with the constant limitations of conventional dentures. Implant supported dentures are one of the best solutions for patients in Scarborough, ON with full arches of failing or missing teeth and can provide a long-term improvement to your oral health, dental function, and smile aesthetics! The main difference between implant supported dentures and conventional dentures is that the former rely on dental implants instead of the gums for support. 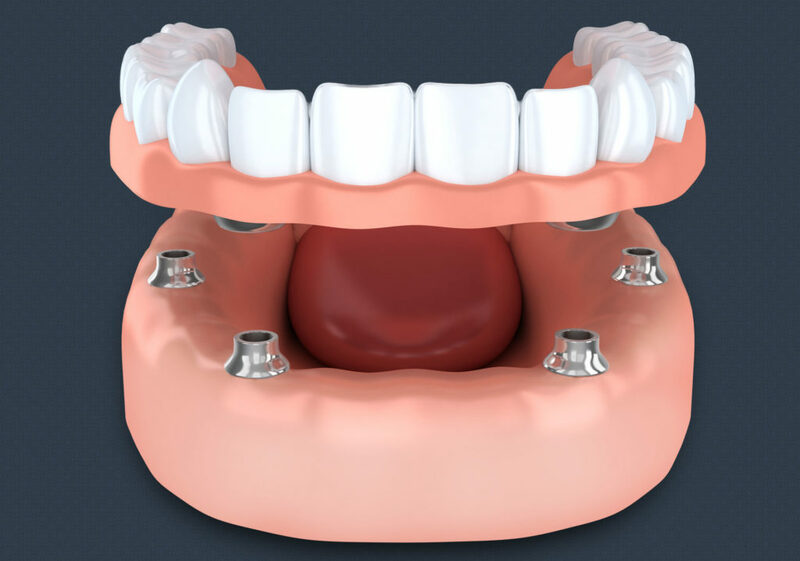 This means that as the dental implants support the full arch prosthesis or dentures, they simultaneously keep the jaw bone from resorbing and shrinking by providing stimulation. This creates a foundation of strength and stability, allowing for the visible restoration to function naturally, without causing discomfort to the gums. Implant supported dentures are also highly aesthetic, made from durable, life-like materials that both withstand the pressure of biting and chewing and take on the vibrant, aesthetic characteristics of natural teeth. Overall, implant supported dentures work to mimic a full set of natural and healthy teeth—a whole-smile improvement that can last for the long-term! You Can Have A Complete, Functional, And Beautiful Smile Again!